Everyday, more and more people are discovering their singing/rapping talent and delving into the music industry. So, it’s no mistake when I say, music is the order of the day. In fact, entertainment as a whole. I’ve listened to a lot of music…A LOT! The good ones, the bad ones, the ones that should not even be considered as music but, hey! I love music.Many up and rising artistes are emerging from all corners, mostly guys though. Horizon Inc. has paid close attention to several of these upcoming artistes in town, mostly because of close relationships with them or pure busy-body and hunger for crticism, lol. 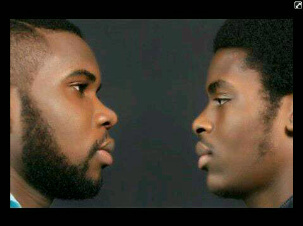 Anyways, In Focus today is Calabar’s sensational Duo: TGC. TGC is a group of two boys; Gerald Legacy and Josi, who started up way back in their secondary school days but have been official for a little over a year. They have done at least 30 songs. Four of the lot have been released officially and they are; Safe, Fresh Cali Boys, Akuma and the latest, NO CONSCIENCE. They are basically rap artistes but also very versatile musicians. According to them, they make good music. They dream of being the biggest artistes from Africa and believe it would happen no matter how long it takes. TGC draws inspiration from things around them, stories about people’s lives and spend time making REAL music. ‘We don’t just try to force anything but we do music that appeals to people’, says Gerald Legacy.No conscience had been hyped over weeks past and when it finally dropped today, I’m almost certain no-one was disappointed. 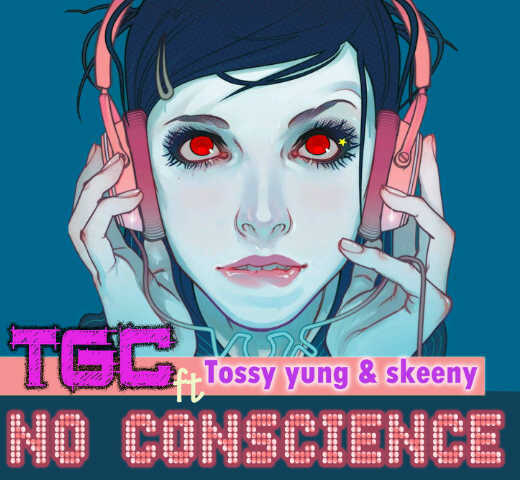 TGC featured TOssy Yung and Skeeny on the track which made it even more dope, swear down. I’m not sure what I expected though but the song was good. 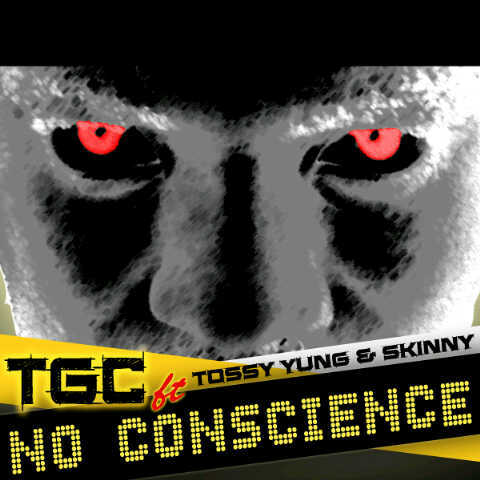 It was made clear to me by TGC that ‘No Conscience’ was not really a stereotype but had to do with doing things above expectations, doing it big. (If it doesn’t make sense to you still, download the song and listen to it. :D) No conscience was produced by Nobong, the Synth (he did the beats) and Jay Sly (he did the mix) of Halite Entertainment studios where the song was recorded. On our part, the song was nailed and DEFINITELY worth the hype. CLICK HERE TO DOWNLOAD NO CONSCIENCE. Horizon Inc. is officially balling with NO CONSCIENCE. Don’t carry last. This entry was posted in Artiste/Music Review and tagged music, No conscience, Rap artistes, Rising stars, TGC, we promote talent. Bookmark the permalink. Whoa! First of – I love love love your site! The layout is bonkers! Second – I think you guys are doing an amazing job. Well done! Definitely downloading that jam – and any others! Hi, SeunOdukoya. Thanks a lot. We appreciate. Watch this space yeah? You won’t be disappointed.